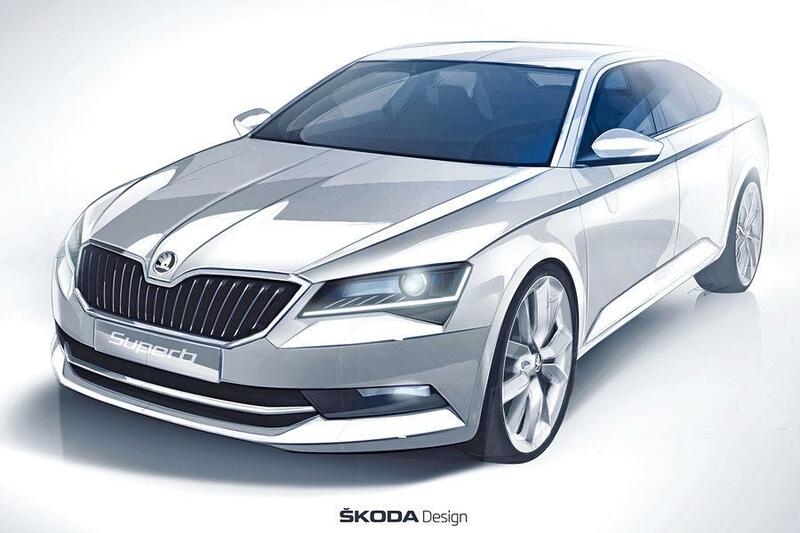 After we’ve seen the upcoming Skoda Superb on the streets, the Czech people at Skoda decided to reveal the first official sketch. While the spied model is heavily camouflaged, the design sketch below lets us get a better look at the new model. The 2015 Skoda Superb will ride the MQB platform which means that we should expect increased dimensions and a lower total mass. A drop of around 75 kilograms is expected to be seen on the new Superb. At the exterior, the model will get more aggressive with revised bumpers, a larger front grille, LED daytime running lights and swept back optical blocks for a meaner look. In terms of power, Skoda will offer an entry-level 1.4-liter engine with 125 horsepower as well as a more potent 1.8-liter TSI with 260 horses. If you want a frugal variant, there will be a base 1.6-liter diesel producing 120 horses and a more powerful 2.0-liter 190hp variant.